What Benefits To Health Does Meditation Offer? Home LifeStyle What Benefits To Health Does Meditation Offer? Meditation gives you inner peace, helps you introspect within yourself, helps you to achieve enlightenment etc. we all are engaged in our day to day lives and thereby do not get time for ourselves. Meditation helps us to find the “inner me” and seek god or any spiritual leader or a guru you believe in. There are many benefits of meditation and that is why is being followed and practiced by generations and people from the western land. Meditation helps you seek peace and leads you to a tranquil state. After you meditate for the desired time you will experience a fresh mind and feel like you are in a different state altogether. It is often said when you reach the highest level of meditation you forget everything around you and just seek peace. 2. Is a mind and body exercise and helps you purify all the impurities and negativities filled in you and helps your mind evacuate all the dirty filthy things within you. As said earlier we live in a modern society with no time for ourselves. Stressful situations are always our way which leads to health problems and disturbs our daily routine as we lose the focus. Meditation helps us overcome our stress and helps us revive back from these daily disturbances. 5. Meditation helps individuals deal with their chronic illness and lower down their stress levels, deal with their BP problems etc. 6. It increases the blood flow to your heart, keeps your breathing pace, and increases your exercise capacity, and etc. 7. Meditation as said helps you to have a positive outlook towards life and removes negativity developed over a period of time. It removes the impurities and helps you change the thought process. It boosts your morale and leads to an increased self-esteem. Many a times we become low when we don’t get what we wish or desire for. Meditation helps you think over the weaknesses and take your failure as a stepping stone to success or moreover a better opportunity. All this can be done only ifwe meditate with a pure heart and our mind. 8. Many people suffer from many problems like inner phobia, fears etc. try meditation and you will see the difference. 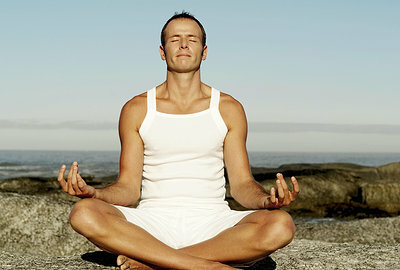 Meditation helps you gradually overcome all you fears, and anxieties and helps you in leading a normal happy life. Many people who are suffering from fears and phobias should meditate and calm themselves. 9. Meditation helps career minded people to focus more, improve their concentration levels. Strengthen their abilities and increase their creativity at workplace or educational institutions. 10.Meditation also helps women during pregnancy who take great amount of stress to cool down and relaxes them. Many doctors advise women to meditate during pregnancy so as to relax and avoid complications r over stress burden. 11. Meditation should be considered as a regular exercise. Every individual out of their busy schedule must find some time and meditate so as to freshen up your mind from the hustle bustle of modern lives. 12. One can remain free of illnesses like joint pains and severe arthritis if one practices meditation exercises and deepen their breathing, thereby seeing the benefits of relaxation effect.